The String Jack is for the adventurous guitarist who wants to explore a different approach to string bending. Instead of displacing the string from side to side to change its pitch, the string is lifted off the fretboard, creating a space to press down on the string. By pressing down on the string in various places the performer can alter the string's pitch. It's like bending the strings behind the nut. Simply position a String Jack(s) under the strings, find a tuning and the rest is up to your imagination. 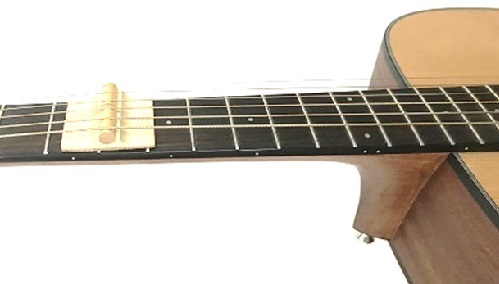 A single String Jack can span 2, 3 or 4 strings and can be placed in any combination on top of the fretboard. Jack up all the strings and you got yourself a Koto. The possibilities are endless! Learn more about the String Jack here.